IronPython 1.x was a problem for Ivan a while ago. Are continuations supported (and how) ? the moment to find out right now. with dynamic languages in mind. Don't call us... and we also wont call you. DevDefined Ltd. have been working with Screen Architect Ltd and Catch Limited to produce a UI Prototyping add-in for Enterprise Architect (EA) - and we are pleased to see that they made their first public release, with the product now on sale from their website. For anyone who uses Enterprise Architect, and already does UI modeling within EA, or UI prototyping with another application (or wishes to) - then why not take a look at the Screen Architect's flagship Add-in (there's a 30 day trial available). 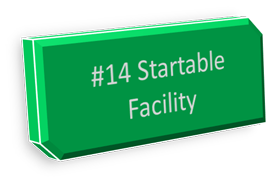 So this time we're going to have a look at the startable facility (you can find more info on it here in the wiki) - the concept of the startable facility is to ensure that components are started as soon as possible, which translates to as soon as all dependencies are available. Effectively what happens is you create a component, and implement a special interface called IStartable, which looks like this and is found in the Castle.Core assembly. And then the startable facility detects any components registered in the container which implement the IStartable interface and determines if they have any dependencies which still need to be satisfied, if not, then the container will Resolve the component, and start it immediately (by invoking the IStartable.Start method on it) otherwise it's added to a list of services awaiting startup. From then on, as components are registered in the container the startable facility will check the list of services awating startup, to see if any of them have all their dependencies available now, if so it will then Resolve the service and again invoke IStartable.Start on it. Now at this point it's worth noting that Start is not executed asynchronously - if you block within the Start method then your container will halt loading the configuration etc. till it completes... be careful not to slow down your container startup too much with slow blocking operations with the Start() method. So let's get into some code... first off I'm going to create a simple http listening service which is capable of serving up a single file... exciting stuff! Now, this class doesn't have any constructor dependencies (beyond a little configuration) but we do have a Setter dependency on an ILogger service - ILogger is actually a generic abstract of a logger for a logging framework (a logger being a named/scoped class supporting a number of generic message writing methods) out of the box Castle provides support for both nlog and log4net, however it also contains some lightweight loggers, such as a console logger, which means you can avoid having to write any logging configuration files... so we're going to use that this time... because the loggers are assigned by the container, there's not need to actually reference the type the logger is logging "for", because the container knows that implicitly. As you can see we have declared two facilities, one for handling the auto-wiring of Loggers into any components with ILogger constructor parameters or setter dependencies, and secondly the startable facility, which will take care of automatically starting our LameHttpFileServer for us. This is the contents of the lame.html file, neat huh? Constructing the container using the configuration. And finally calling the GetPage method again, to see if our server is still running. contents of the lame.html file, neat huh? As you can see before we disposed of the container our request for the file worked just fine, but after the container had been disposed, it appears the file service has been stopped, and so our client was unable to connect... what caused this? Well the way the startable service is implemented, it actually applies a couple of lifecycle concerns - a concern is effectively a bit of code that executes when what it's concerned in occurs, in these case the startable facility adds two concerns to a startable component's model. The first "concern" is a commission concern, which invokes the Start method upon the component entering the commission step of it's lifecycle, which is immediately after the component instance has been constructed and all it's dependencies and configuration injected. So what's happened is that immediately upon registration a component is created... and can't be disposed (because we can't get a hold of the instance to release it) until the container is disposed... but for the couple of calls to Resolve and Release you can see the StartableExperiment instances are started & stopped during commission & decommission steps in the components life cycle as expected. So that brings this look at the startable facility to an end... next time we might have another quick look at life cycles to see how else we can use this concept when build components, and maybe after that we'll have a look at some of other lifestyles which are available "out of the box" and how to write our own.